Microsoft Scripting Guy, Ed Wilson, is here. 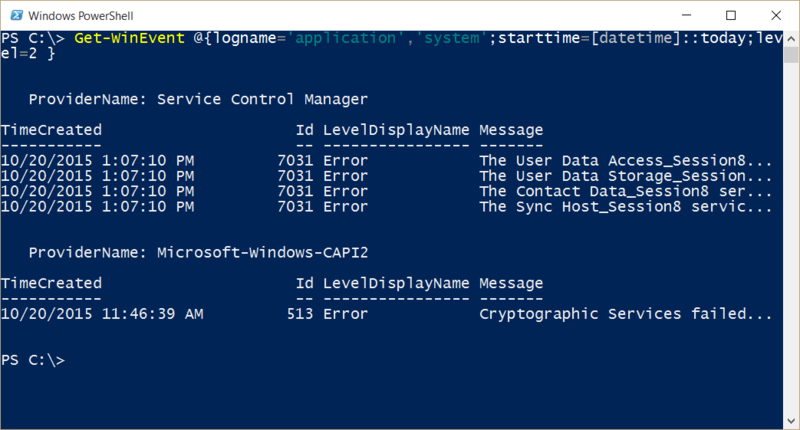 Today I talk a bit more about using Windows PowerShell to make queries from the event log. Although most large enterprises already have an event log monitoring application, at times it is useful to do these types of queries on your own. Keep in mind that this can generate a lot of network traffic and a decent amount of load if you are not cognizant of what is really going on. As I mentioned yesterday, this can be an area of hidden danger, such as the alligator that the Scripting Wife and I saw over the weekend. This photo is a different gator than the one I showed you yesterday, and because this dude was lying right on the grass, not in the water, I nearly tripped over him. It might have surprised us both. So, just as it is important to watch where you are going when hiking out in the swamp lands, it is also important to watch what you are doing when querying event logs from remote servers on a widely distributed network. Note For more information about the basics of this technique, see Filtering Event Log Events with PowerShell. One of the way cool features of the Get-WinEvent cmdlet is that it will accept an array of log names. This means that I can query for events from the application, the system, and even from the security log at the same time. This makes it really easy to correlate events that may occur at nearly the same time. .NET Framework class names. So you can type [date … and press Tab to get the type accelerator. It is now obvious that the crypto service failing and the user data access events have nothing to do with each other. Cool. Now I just need to find out what is causing the errors—but I now know what is not causing the error. 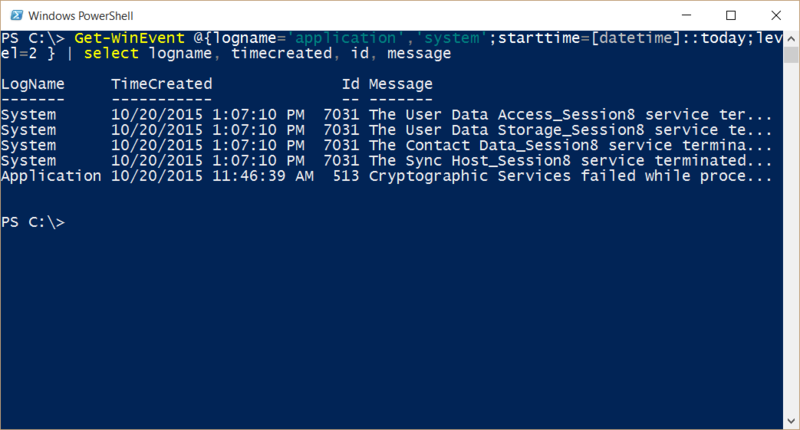 That is all there is to using Windows PowerShell to query event logs. Join me tomorrow when I will talk about measuring the efficiency of different types of queries.